The HDS-12-4K 2-Way Splitter is the latest of our renowned splitter line. 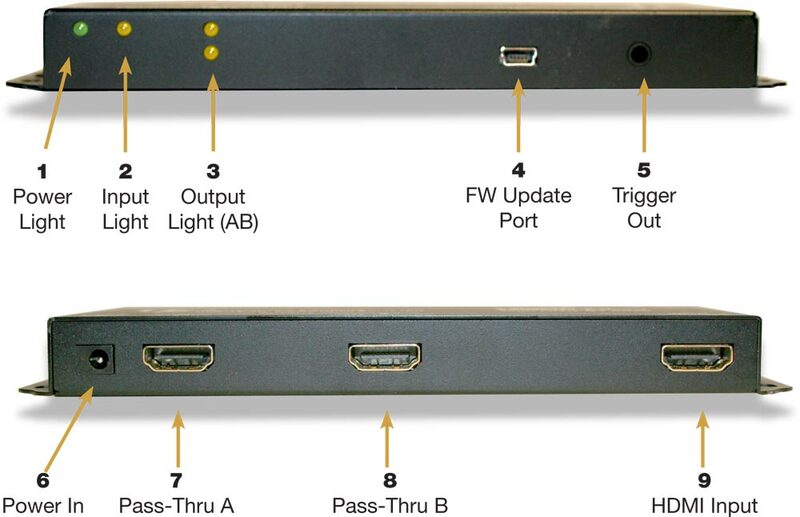 From our first problem-solving HDS-12 thru our innovative HDS-12i format converting device, Transformative Engineering has always taken the approach of solving installers’ issues in a reliable, unique way. With the industry firmly embracing all things 4K and all that comes with it, our approach to splitting a full 4K, 60Hz, 4:4:4 signal with all HDR and audio formats needed to be simple and straightforward. The HDS-12-4K couldn’t be simpler. One HDMI input, two mirrored outputs with no switches, buttons, dials or settings to worry about. Whatever you plug in you get output times two. In addition, we provide a path on one output for Audio Return Channel (“ARC”) and Consumer Electronics Control (“CEC”). There is also a USB port for future firmware updates as they are issued.